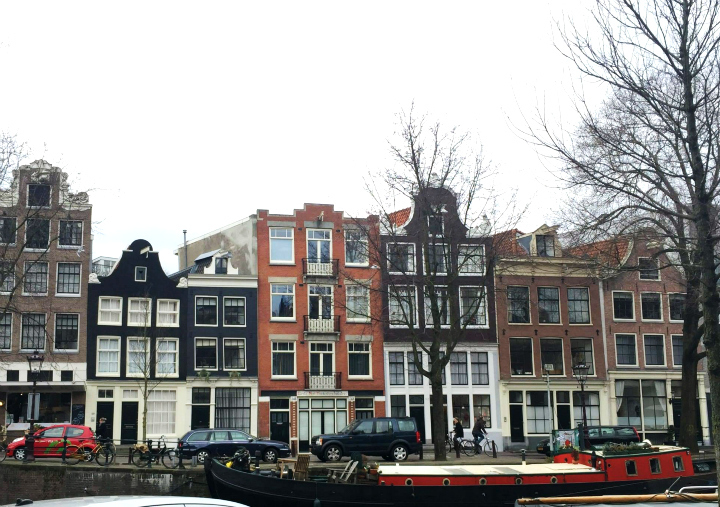 I dreamed about walking down the canal-lined streets of Amsterdam for years before I got the opportunity to go last spring. 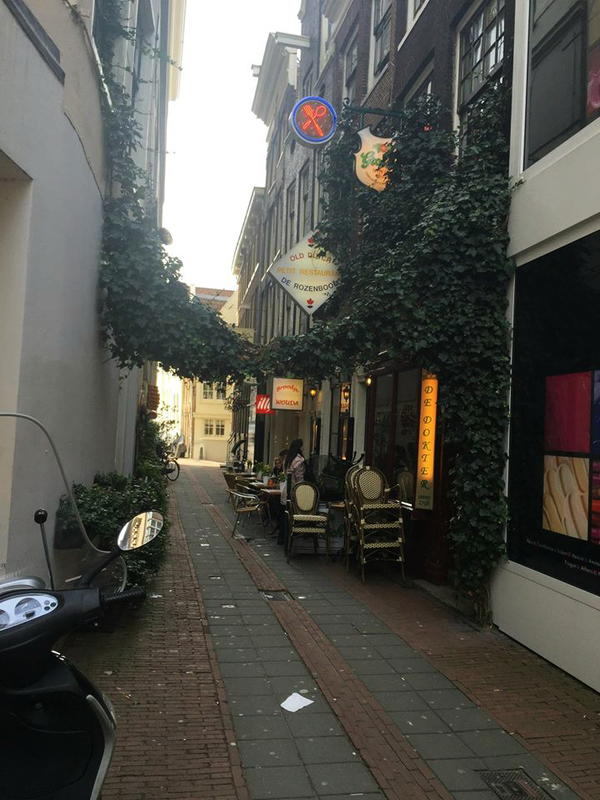 Tulips, pretty architecture and cobble-stoned sidewalks filled my mind. This was the place that Derek and I would go for our honeymoon one day, you know, if we ever get married. But the opportunity arose months ago for us to go during Spring Break, and hey, why wait? (Now: We have decided that if we ever decide to get married, we are going to travel through Italy - but hey, who knows - maybe we will get a chance to do that long before that time comes anyway). 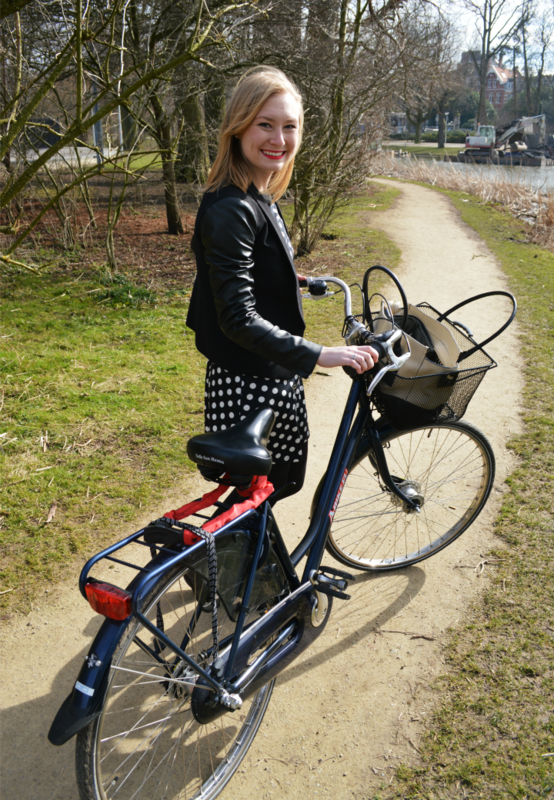 As soon we woke up in the morning, we headed off in a search for dutch pancakes! 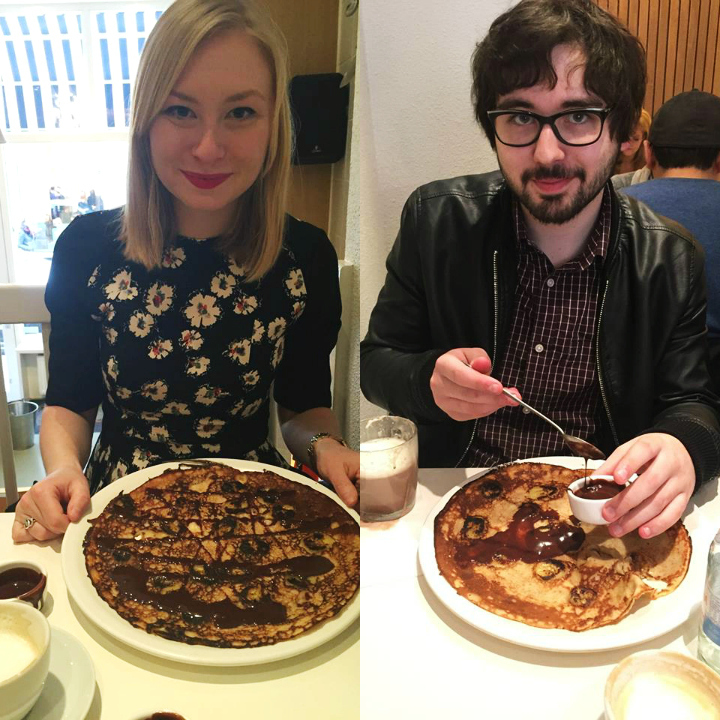 We found - and devoured - them at Pancake Amsterdam. 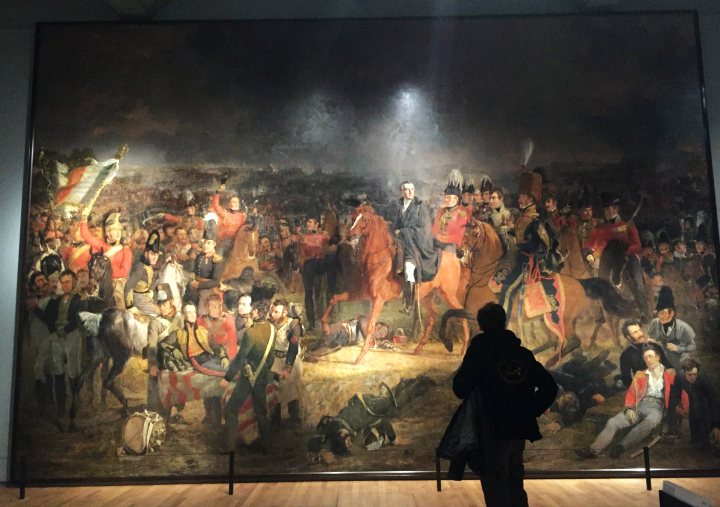 We spent an afternoon at the Rijksmuseum, one of the biggest museums I have ever been to. 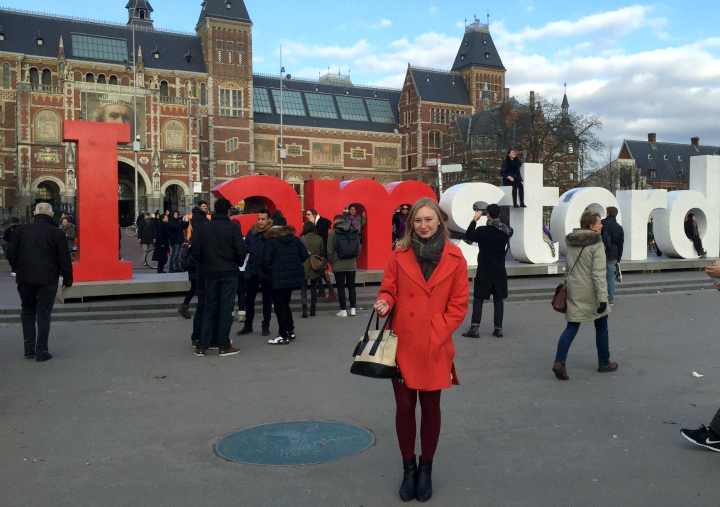 Afterwards, we stopped and took photos by the I Amsterdam letters. 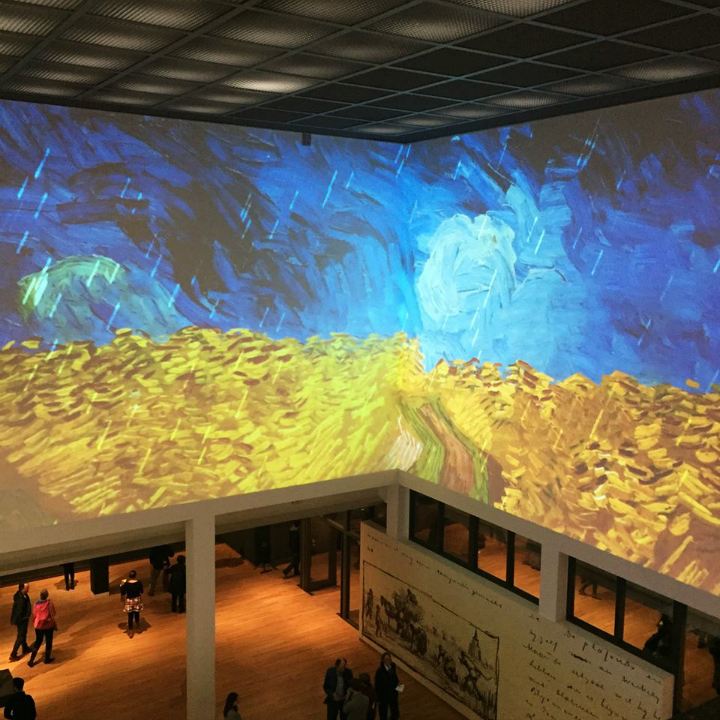 We also went to the Van Gogh Museum (pictured above), the Stedelijk museum, as well as the Anne Frank House. 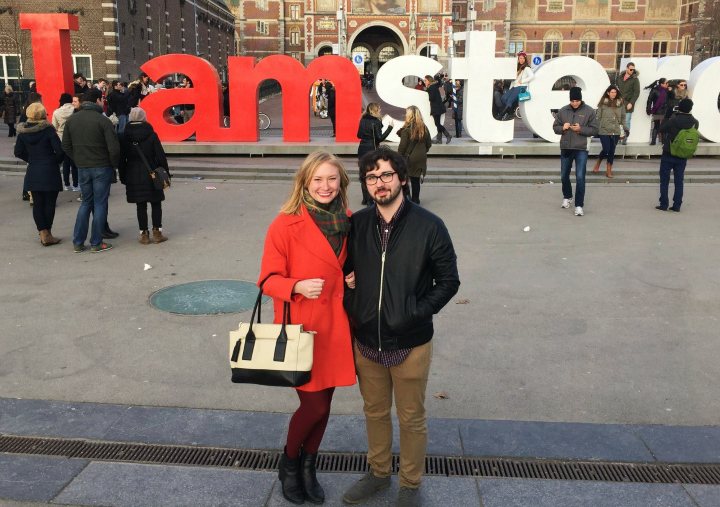 Our Amsterdam trip was filled with museum trips. 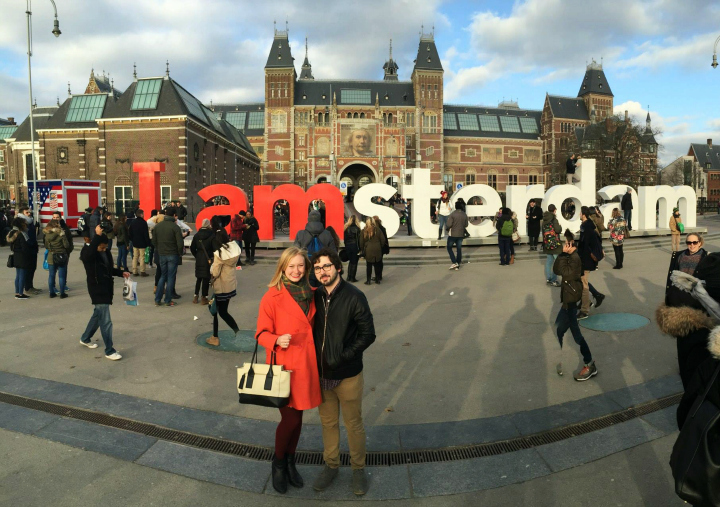 This was easily one of my favorite parts about our trip to Amsterdam! 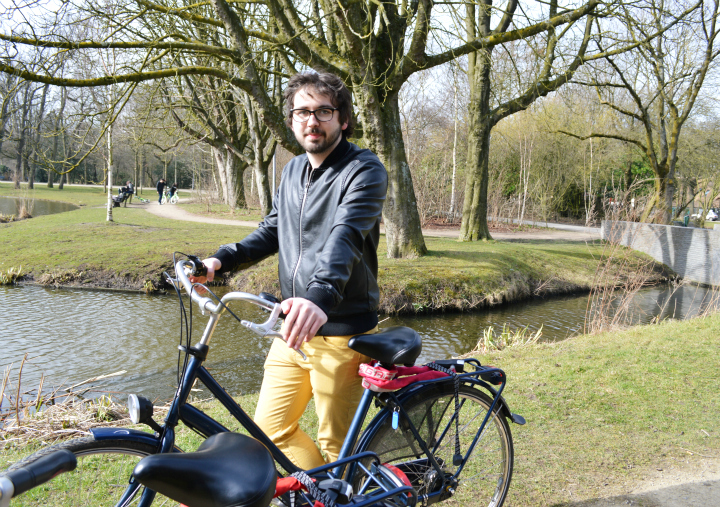 We biked through Vondelpark, where we got to see a few tulips starting to bloom. 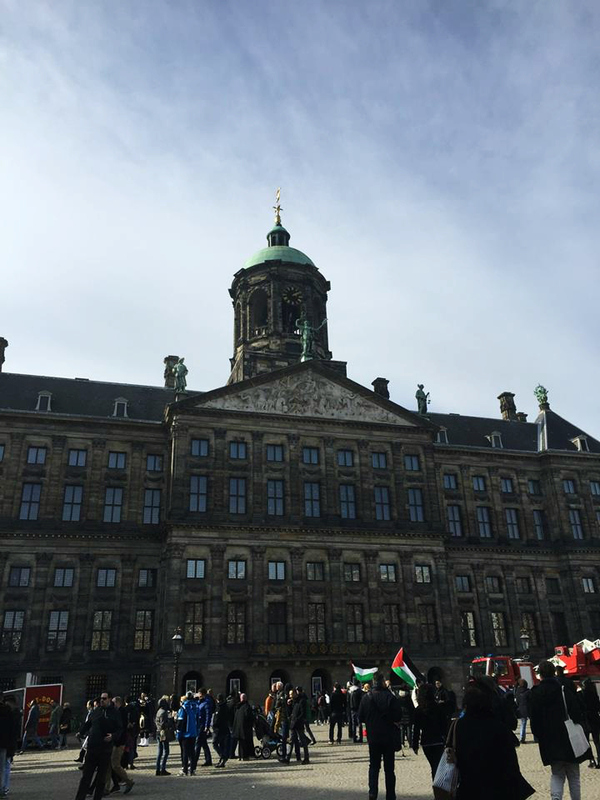 We went to do some sight-seeing, we looked for big monuments like the Royal Palace of Amsterdam and also searched for local spots. 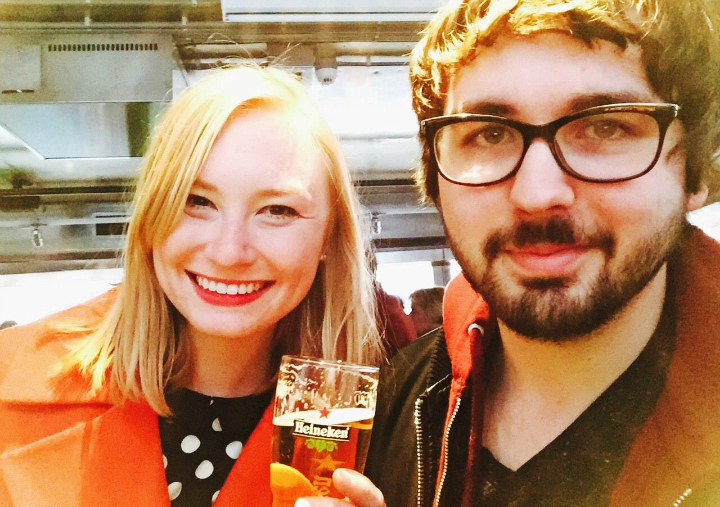 We also went ahead and did the Heineken Experience too! You never know what to expect when traveling. Trains break down. Directions are given but in a language that you can't speak. And then a plan B isn't always given to you by the people who work for the train that just broke down. So you just gotta wing it sometimes. But the great moments after that are what making traveling so worth it. Plus, these little moments are what create experiences and future stories you can tell and remember. Because, think about it - is anything ever really that interesting if something doesn't go wrong or at least unplanned? 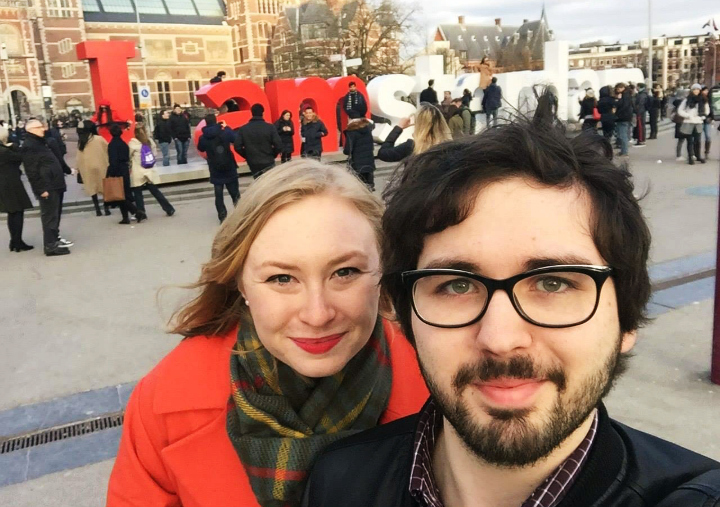 You can read about the first part of our spring break in London, HERE and then our 36 Hours in Paris HERE. 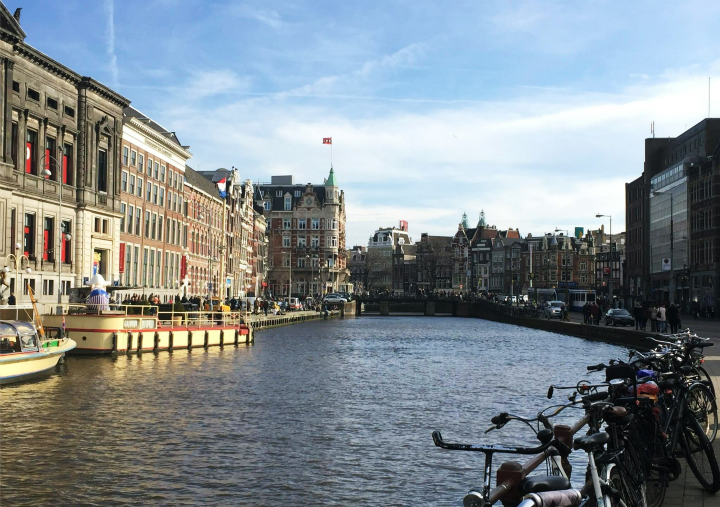 Amsterdam is a beautiful city! I love this photo diary of yours hon :) You did so much & definitely soaked up the experience.